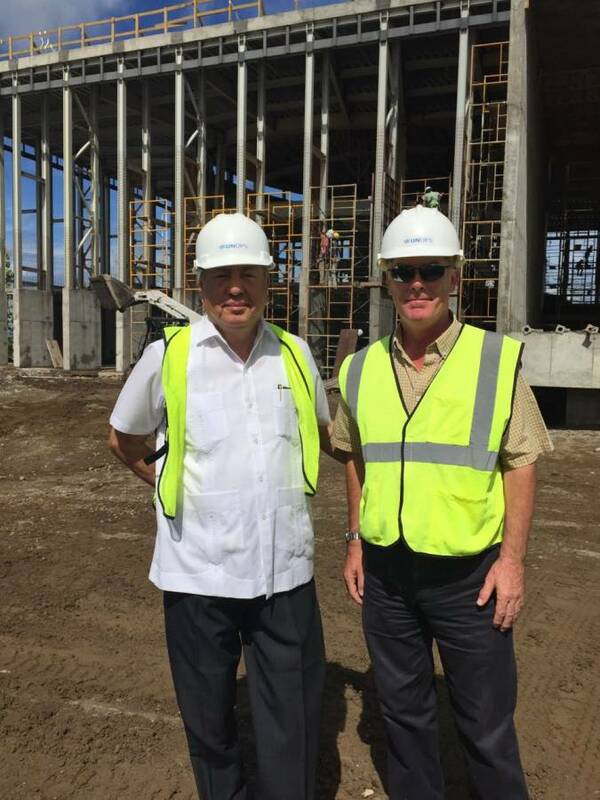 Ambassador of Mexico to the Eastern Caribbean States, His Excellency Luís Manuel López Moreno (left) on the construction site of the new Parliament Building. The Embassy of Mexico is pleased to inform that the Ambassador of Mexico to the Eastern Caribbean States, His Excellency Luís Manuel López Moreno, made an official visit to Grenada on 13 June, 2017. During his stay in the country, the Ambassador met with the Permanent Secretary in the Ministry of Foreign Affairs, Alva Browne, and visited the construction site of the new Parliament Building, which is being financed by Mexico. The Permanent Secretary and the Ambassador spoke about the principal elements of the bilateral relation of Mexico and Grenada, with particular emphasis on the political dialogue between the countries, as well as on ongoing and future development cooperation projects. Mexico is currently promoting strong cooperation ties with the countries of the Eastern Caribbean, particularly through scientific cooperation and capacity building in a variety of key areas of development, such as in agriculture with a project to protect and strengthen the coconut industry. The other main activity of the ambassador was the visit to the construction site of the New Parliament Building, in order to review the work and progress. This project is currently being financed by the Government of Mexico (through the Infrastructure Fund for Mesoamerica and the Caribbean) with a grant of US$5 million (EC$13.5 million), as part of Mexico’s increasing ties of friendship with the countries of the Eastern Caribbean. The project is part of the South-South cooperation (cooperation between developing countries) that Mexico promotes with its neighbours of the Greater Caribbean as a fundamental investment in our joint development. The construction of the new Parliament Building began in 2016 and is expected to be completed mid-2018. 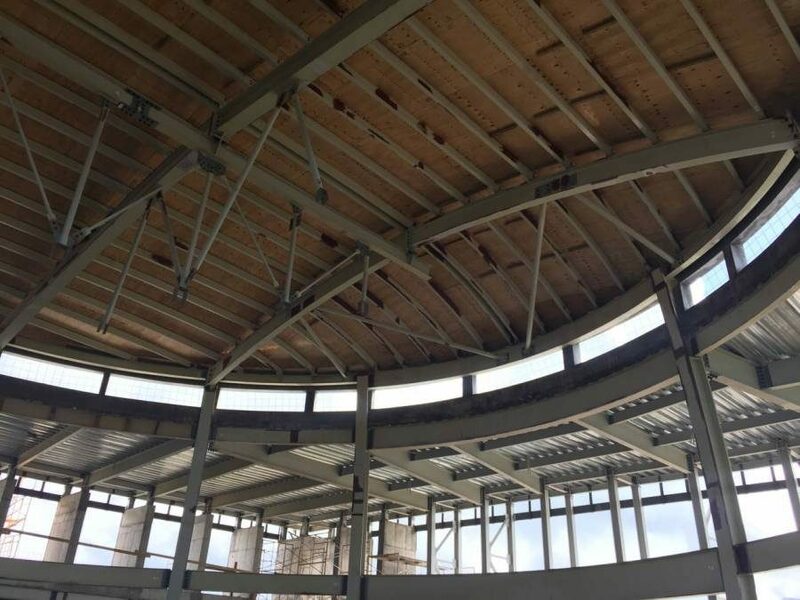 The latest progress includes the complete installation of the metallic substructure and the near completion of the metal sheeting of the roof. As for the current activities of the project, work is being done on finishing the internal walls, as well as the main access points to the building. Finally, the additional purpose of the visit was to bid farewell to the high-level officials and the country, as Ambassador Lopez Moreno has been appointed Ambassador of Mexico to Guatemala, after 3 years serving in the Eastern Caribbean. The metallic substructure of the new Parliament Building.